This is part two of the Sydney portion of our honeymoon, which for some reason I still insist on recapping, even though it happened, like, two months ago and no-one really cares. Part one is here, and the Melbourne portion is here. Also, there are lots of photos. Are you still awake? Oh good, let's begin. We spent our weekend in Costco. I wish I were exaggerating when I say this---oh, alright, I sort of am exaggerating when I say this, I suppose. I mean, it's not like we were camped out at the big-box behemoth from Friday night through Monday morning, although the fact that visited both Saturday and Sunday sure did make it feel like we were. We had to make an exchange, you see. Have you ever made an exchange at Costco? Oh my friends, welcome to hell. Oh you guys, Vanuatu. 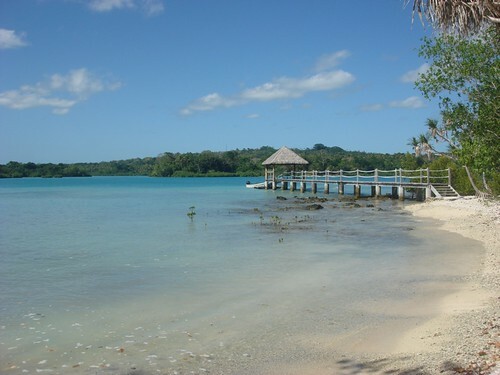 How can I tell you about Vanuatu? It feels like a beautiful dream I had a long time ago, the sort of thing that's only hazily real. Often now, I catch myself thinking "Was there actually once a time where I did nothing but kayak lazily in the morning, sunbathe gratuitously all afternoon, read a novel a day, and fall asleep to the sound of the ocean lapping at the sand?" Look, I'm pretty sure I don't have A Problem, but I've discovered I'm just a whole lot happier if I've got a bottle of champagne in the fridge. Is there anything better after a long day at work than a tall, golden glass of bubbly and a hunk of cheese? It just feels so decadent, doesn't it, even if you're wearing your sweatpants. Wait, what am I saying, especially if you're wearing your sweatpants. Give me a glass of champagne over a glass of wine any day of the week. In fact, I'm drinking one right now. I have come to a crossroads regarding my hair. Yes, I know that sort of scintillating opener is what makes my blog my blog and not, say, a cracking page turner on the New York Times bestseller list, but if you can't indulge in a little navel-gazing on your own website, where can you indulge in it, you know? I have some pretty crazy news. A couple of weeks ago, when I wrote about my Clarisonic brush as a Best Thing Ever---and just to reiterate, no-one told me to do this, and you'd better believe I paid for that sucker myself---I was overwhelmed with the number of people who said they wanted one too. I mean, obviously you'd want one: they're awesome. Well, mother of pearl and sweet cracker sandwich: who'd have thought that there'd be over a thousand entries for last week's Clarisonic giveaway: 1,113 to be precise, which is a number so stupendously large to me that I can hardly believe it. If only there were a way to give away 1,113 Clarisonics, you know? But I guess that would make me Oprah.